Your engineers are losing weeks each year on non-product tasks, from getting ready to code, to keeping in sync with team activities, resetting when a computer goes down. These tasks are expensive delivery-cycle disruptions. 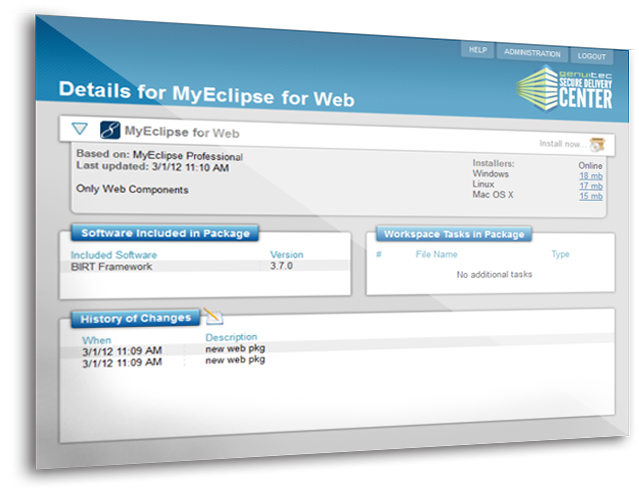 Java IDE deployment with MyEclipse Secure keeps developers in their code, not worrying with settings, plugins, and code compliance. 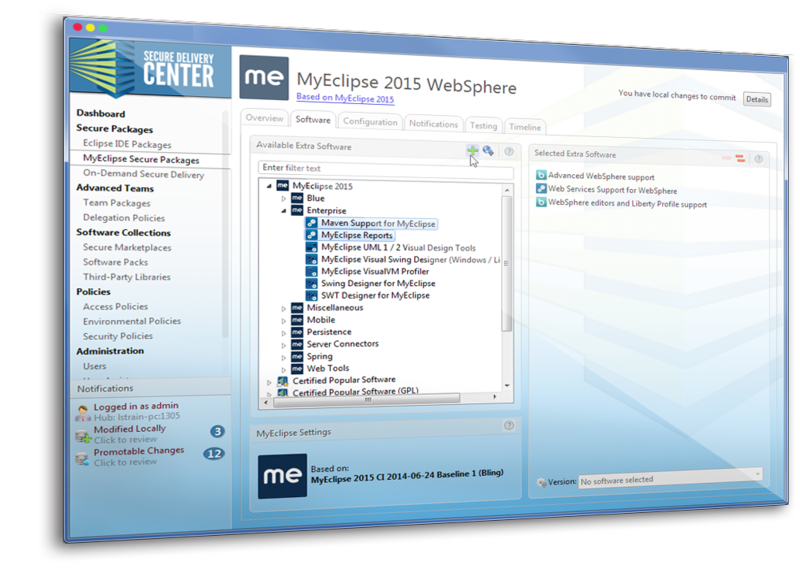 IT teams need to address the array of requests from their MyEclipse users. 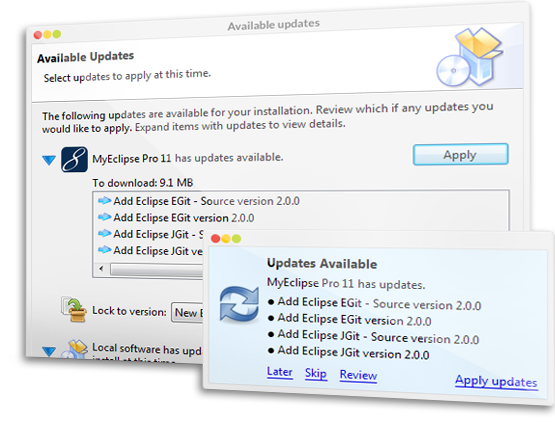 Leveraging MyEclipse Secure allows even the most Eclipse-naive IT member to create advanced enterprise software configurations with minimal effort. Admins can always delegate team-specific configuration details to team leads who know team requirements best. 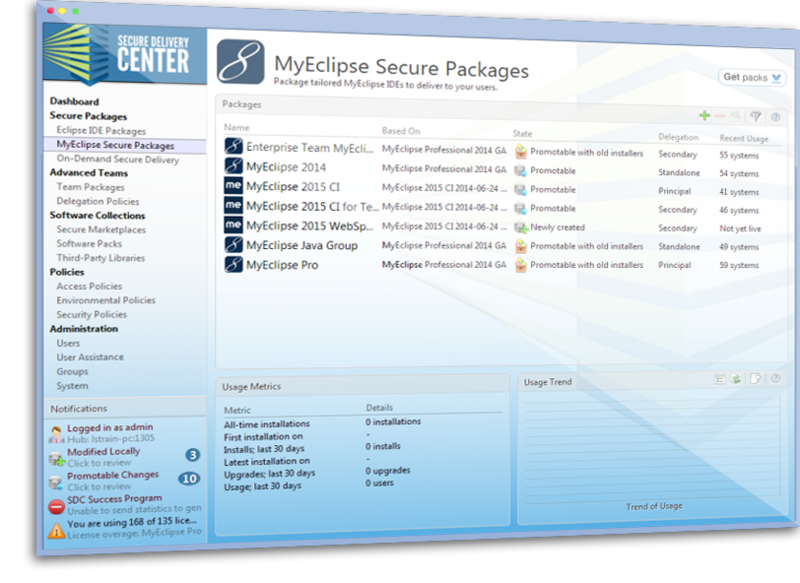 Whether it’s a new member joining a team or time for the next release cycle, a MyEclipse Secure package consolidates all configuration and setup into one place. No more wasted effort across the team – just a simple one-time setup by the team lead and a quick install or update by team members. 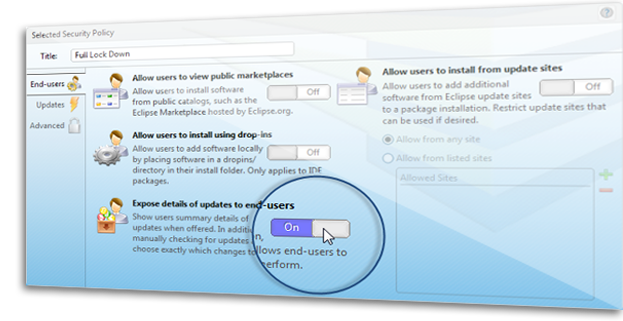 When new versions of plugins are available or code compliance settings change, team leads update the package and simply roll the updates out. No one lags behind, and everyone is on the same page! Configuring your tool stack for delivery using SDC can be accomplished in just a few minutes. With SDC available across all major operating systems, any team can be up and going quickly with tailored team software. With the simple point-and-click interface, learning SDC is quick and easy. But, don’t be fooled. SDC’s flexibility gives you the power to go deep, providing a Java IDE that fits team requirements.